Why Pick Temple over Pitt for in-state rivalry? I would like to give Pitt head coach Pat Narduzzi the benefit of the doubt. He did a great job as Defensive Coordinator at Michigan State, and deservedly got a head coaching gig. But since taking over the Pitt football team, he has exhibited a near-obsession with Penn State, at least to the media. It could be strategic, to generate interest in a largely apathetic fan base. It could be to motivate recruits to choose Pitt over Penn State, though I don’t hear too many choosing between the two schools anymore. But Coach Nards seemed generally perplexed as to why Penn State scheduled Temple in 2026 and 2027 over them, and further why PSU AD Sandy Barbour isn’t pushing hard to lock Pitt up for an annual home-and-home game. We explored the notion of making the Keystone Classic permanent last season. Now with 9 conference games, if you lock up one game every other year away at Pitt, Barbour likely wouldn’t be able to schedule Auburn, Texas, or Virginia Tech in consecutive years. And in a year like this one, the additional conference game against a Western Division team includes preseason #4 Wisconsin, an infinitely better opponent than Pitt. The CFP committee has already shown that it prefers playing high-quality opponents, likely to improve the quality of the non-conference schedule. But in its brief history, the CFP selection committee also has never chosen a 2-loss team. 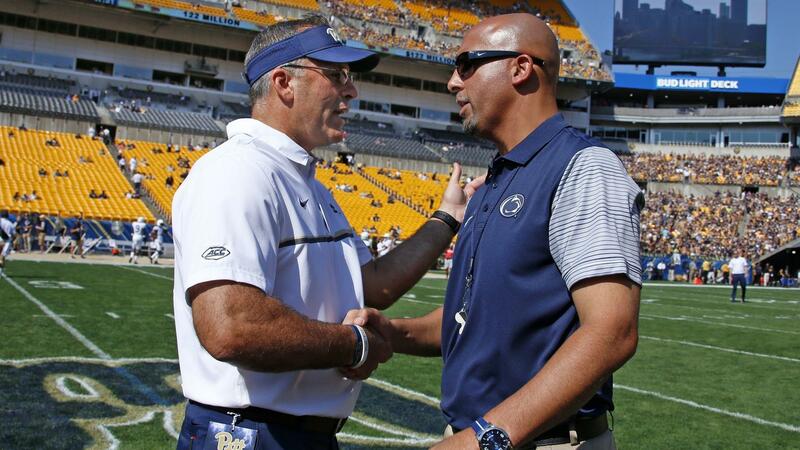 Whether Narduzzi likes it or not, Penn State is playing at the highest level at the sport, and cannot be concerned with some assigned responsibility for helping Pitt restore its program to national relevance. Put differently, for James Franklin to deliver Nittany Nation a National Title, he needs to a) play a CFP-relevant non-conference OR cross-divisional game AND b) not trip against teams he has to beat. Temple also allows Penn State to play a pseudo-home game in Philadelphia, allowing its eastern-PA fan base more access to the Lions. And because Temple is a public institution, it still benefits the state for Temple to collect the added revenue from a game in Beaver Stadium, similar to the way Ohio State schedules public, in-state teams to allow them access to big-stadium revenue. 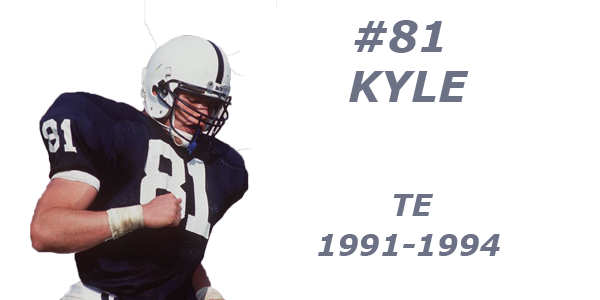 Temple has only defeated Penn State once since World War II, and represents the exact type of opponent to help Penn State fill its schedule around all the constraints described above. And even the Power-5 benefit Pitt thinks they enjoy is diminished due to the recent pedestrian performance of the majority of ACC teams on the national stage (not Clemson, of course). Even Pitt’s win over then-top 10 Miami last season didn’t seem as significant at season’s end. Pitt and Coach Nard-Dog still seem out of touch with who they are at the present day, and they act like Penn State is obligated to pull them out of cyclic mediocrity. The Panthers need to play their way either up to justify a home-and-home, or down to the level of perennial doormat, who is all too happy to take half the pot and sneak away. But the risk of a loss to average lousy team, coupled with the pressure of to schedule nationally-relevant competition, ultimately makes a home-and-home series with Pitt a complete impossibility for the foreseeable future.